Comment: Have bad sound penetration from floor below and need best sound proofing insulation. Comment: Would like to compare costs/benefits of blown in vs. spray in, as well as material types within each category. Attic is approx 1,200sqft. 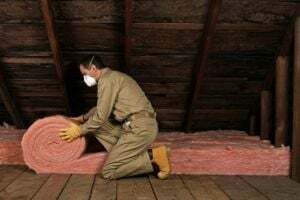 Comment: Need to add fiberglass insulation to an attic. House sq ft is roughly 1150. Looking for the insulation to maintain a consistent temperature in my home which is a two level townhouse. Comment: Purchase of a home, Inspector noted that attic insulation was not adequate. Need to add insulation in attic. Inspector also noted that insulation in floor joists in crawlspace was not installed properly, need quote to replace crawlspace insulation also. Denver Insulation Contractors are rated 4.79 out of 5 based on 1,647 reviews of 45 pros. Not Looking for Insulation Contractors in Denver, CO?